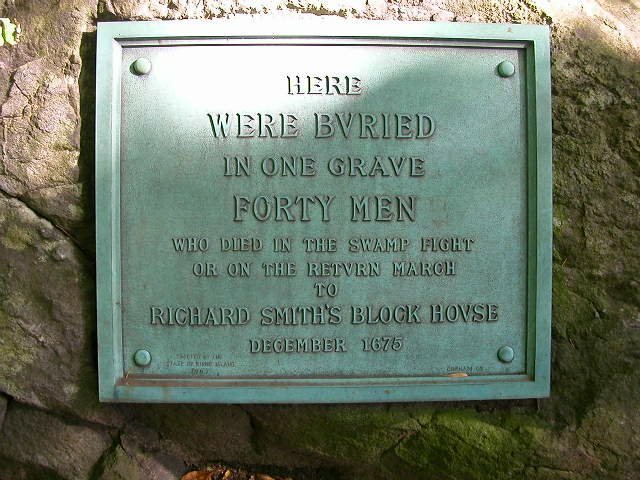 Bloody Brook, Massachusetts – forty killed. 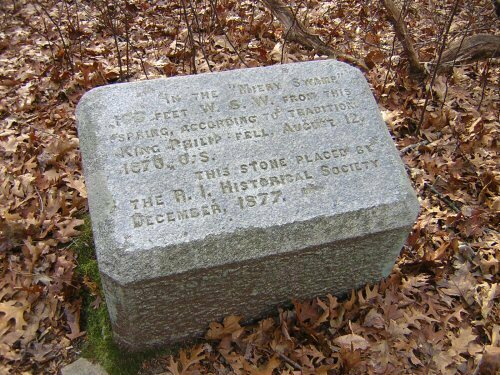 South Kingstown, Rhode Island – seventy English killed, ninety-seven Narraganset warriors, maybe a thousand Indian women and children. Springfield, Massachusetts – forty-five of sixty homes burnt to the ground. Sudbury Massachusetts – thirty killed. Turner’s Fall, Massachusetts – thirty-nine English killed, close to two-hundred Nipmuc, mostly women and children. 1675-1676, around one thousand English and their Pequot and Mohegan allies killed, around three thousand Narraganset, Nipmuc, and Wampanoag, as well as other Indian allies killed. Cotton Mather wrote “we have now seen the Sun Rising in the West,” and he meant it in a millennial sense. But it is not just a millennial image, it is an apocalyptic image as well. In America dusk and dawn are as conflated as Genesis and Revelation. In the newest world, that is also the land primeval; our creation myth began with a conclusion. This moment signified the end of the world for the natives who lived here, but also in a sense for the New England colonists whose survival was no foregone conclusion. 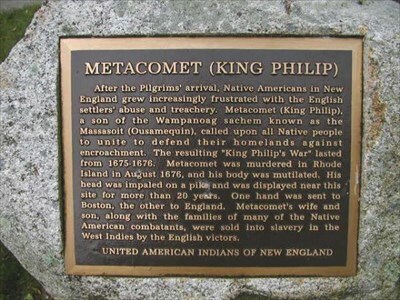 When Mather was still a child, the colonists were almost pushed back from their nascent frontier into the Atlantic waves by a Wampanoag chief named Metacomet, better known as “King Philip.” This was an ending that was, at the same time, a type of new creation, for what emerged from the event were not Englishmen and women but an entirely different kind of person. The national mythology of our civil religion perhaps half-remembers the baptism of blood that inaugurated our sense of American exceptionalism, but we often locate that moment in Gettysburg, or Valley Forge. But really, it’s those villages clinging to the coast of New England where this new person, this millennial creature, this American was made. In terms of percentages King Philip’s War is the most violent in our national history, and ignoring the per capita numbers, it was in its ferocity and almost gothic horror perhaps the most genuinely violent event in the whole American narrative. As historian Jill Lepore wrote in her masterful account of the event, King Philip’s War was a period when New England was “a landscape of ashes, of farms laid waste, of corpses without heads.” We have never really recovered from the trauma. America became a land and a polity defined not by ethnicity, or even religion, but by new, sometimes even darker, criteria. In America you conceptualized yourself not by the blood flowing in your own veins, but by the blood of others that you spilled. The history of French and Spanish colonization in the New World is no less violent, but something different happened in New England. The charter colonists felt abandoned by the English Crown, who had little interest in defending these schismatic congregants who had sided with Cromwell during revolution and Interregnum. 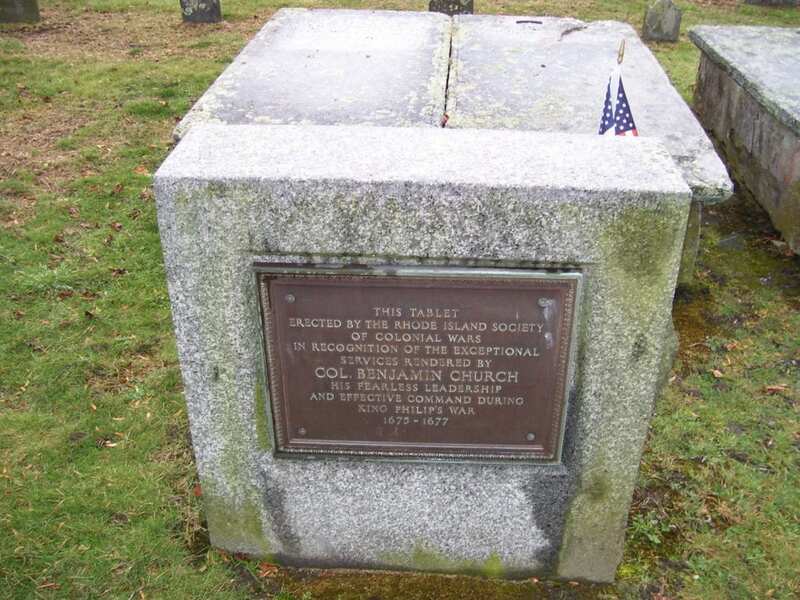 And so where the French colonists saw themselves as French, and the Spanish as Spanish, and even the Southern colonists as English, the men and women of New England began to self-apply a designation that heretofore had only been applied to the natives, their ostensible belligerents in this mutually genocidal war for existential survival. The English of New England began to call themselves “Americans,” which was unheard of in the New World. Like Jacob wrestling with the angel and acquiring new name that would designate a nation; the English would battle not just real opponents, but also their own fantastic phantom projections of what they assumed the Indian represented. And as Jacob at least in part acquired some of the attributes of that angel (who was God himself) the New English became versions of their invented Indian – christening themselves “Americans.” They assumed the imaginary mantel of citizens of Eden, as inheritors of no history; they were New Adams. That the actual Indian was foreign and Other to the English was of no accounting in the English construction of the Indian. Lepore writes that “the principal cultural anxiety behind King Philip’s War was confusion of identity,” and in many ways the solution to that confusion was the invention of a new identity. Certain attributes were applied to the Indian – that is the American – and in becoming Americans themselves the English took on these definitions, whether they were accurate to the indigenous or not. And what were these attributes? They were of the Indian as a primal man, a rugged individualist, willing to resort to unspeakable violence, of nature but also controlling nature, a person of the most base physical humanity but seemingly paradoxically also participant in an elevated spiritual state. Literary critic Richard Slotkin writes that the colonists wished “to create a world of divine law pure and simple” and that both in order to defeat, but also to “convert the Indian, they had themselves to become more like the Indian.” And of course if the English were to become Americans, they had to destroy the contradictory evidence that they were really not Americans, and so they had to murder the Indians. And so they did. This King Phillip’s War, which made us, is now close to three and a half centuries into the past. Yet what remains, and has not ended? The exorcist cannot caste out demons until he knows their names, so now, in our continuing American season of violence, it is required of us to identify these creatures so that we may balm the traumas they have inflicted. As Slotkin wrote, “A people unaware of its myths is likely to continue living by them.” Bearing witness to these half-forgotten atrocities is paramount if we are to root out the psychic disturbances that always draft the next massacre. Here is what we know – the war ostensibly begins with the possible murder of John Sassamon, a so-called “praying Indian,” a convert to Protestantism who was involved in John Elliot’s massive translation of the Bible into Wampanoag. Found in a frozen creek bed only days after warning the Plymouth colonists of an impending rebellion from the sachem Metacomet. There were bruises on his purpled neck but no water in his lungs, which indicated that he had not drowned but was rather discarded there after being killed. From this first death, there would ultimately be four thousand more. The numbers seem comparatively small to us today, but in terms of per capita death it was twice as bloody as the Civil War, and seven times that of the Revolutionary. More than half of New England’s villages were confronted with Indian attack, and the colonists responded with equal brutality, and ultimately answered with genocide. One must not assume that English triumph was a foregone conclusion at the time though. Crucially we must not condescend to them, it is a disservice to the Indians themselves to assume that in the seventeenth-century there was any certainty to their losing the war. As historians like Daniel Richter have pointed out, the “inevitability” of colonial victory in North America was not something that was obvious until well into the nineteenth-century, and indeed with half of New England settlements destroyed Metacomet had pushed the English back unto almost the very shoals of the coast. The Anglo-American psyche would not still be troubled by the traumas of this event had it not actually been traumatic. Perhaps what was most horrifying to the English was that they were confronted with a type of warfare they were inexperienced at; this was not the regimented, orchestrated, and choreographed dance of phalanxes approaching each other on the theatrical set of a battle-field. 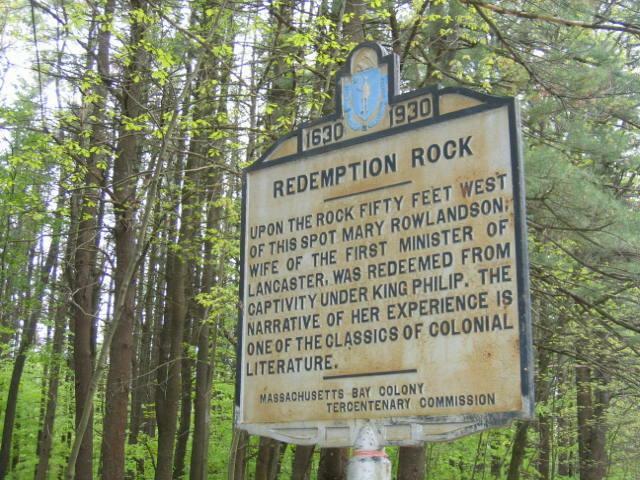 Rather, King Philip’s War involved the unpredictable, chaotic, terrifying, and brutal murder of men, women, and children on all sides, seemingly indiscriminately. The Puritan saw the Indian as part of the very land that the English occupied, and as such it was as if the very land was rejecting their presence. For the English, “the Indian” was seemingly a vestige of the wilderness, and so the English made themselves a vestige of it as well. Robert Frost famously wrote that “The land was ours before we were the lands,” as oracular a bit of New England exegesis if ever there was one. Sassamon’s murder and the subsequent trial ultimately resulted in four thousand dead. But the assumption was that the Praying Indian was murdered because he was to betray Metacomet’s plans for attack, but what was the sachem’s justification? What were the causes of the war? Historians are split as to the immediate reasons that Metacomet embarked on a campaign of extermination against the newcomers; the English themselves who were so eager to deny interiority or even consciousness to the Indians depicted them not as rational actors exhibiting military and political agency, but rather as demonic aspects of apocalypse scourging the second-generation of Puritans who had fallen away from their covenant to the God of this New World. And again, that it was ultimately a type of apocalypse for both native and immigrant is clear. Edward Wharton, a witness to the war, wrote to a correspondent in London, “This may informe thee… that a most bitter Spirit is entered the English, and Indians; in which they greatly endeavor the utter destruction one of another.” This was certainly not the first Indian war, the Pequod War of a generation earlier had been similarly violent, though it lacked the sheer scope and breadth of King Philip’s War, and it didn’t have the existential urgency of required victory. And it would certainly not be the last Indian war, as Lepore reminds us “it has been the fate of the American frontier to endlessly repeat itself.” Whether Metacomet was a short-sighted and vicious ruler, an emancipatory figure that was fighting for the survival of his people, or something in between, remains ambiguous. For that reason, a few words need to be spent reflecting on he who gave his name to the war. Metacomet stands as one of the unknowable figures of the event. 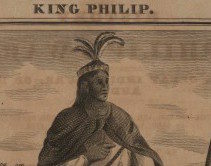 He took the European name “Philip” in supposed emulation of that Macedonian king who sired Alexander the Great, but for the Puritans it seemed more apt a comparison to that most sovereign and Catholic regent of Spain who had once barred down on their own great-great-grandparents when the Armada threatened the coasts of England. This historical rhyme simply reiterated in the Puritan imagination that history was typological, and that our own lives are in some sense scriptural in their repetitions; indeed as King Philip’s War itself would be forevermore repeated in the American propensity towards violence. In many ways, this particular sachem (whether called King Philip or Metacomet) can stand in as an ambiguous cipher, in the way that Indians often have in the American imagination. Feared and hated, he exemplified the supposed characteristics of the Narragansett braves that the Puritans wished to emulate. In New England there are dozens of place-names in his honor, including several streets, a mountain ridge, a pond, a middle school in Connecticut, and perhaps most unlikely, a golf club in Rhode Island. Metacomet’s name became metonymous for the new American identity which was being created, for as surely as the English were beginning to pretend to be natives, the Indians had been influenced by the Europeans for two centuries as well. The hybridization of these identities was so complete that when combined with the Europeans’ demonization of the Indian there was a tendency to project English brutality onto a native origin. This process of rhetorical rationalization is what the historian Peter Silver has called the “anti-Indian sublime.” Perhaps there is something to be learned about the nature of national myth that it was Metacomet’s father, the sachem Massasoit, who was the guest of honor at that legendary first Thanksgiving in Plymouth. Half a century later his son’s head would be placed on a pike overlooking that same town, decaying in the elements for two years as his rotted eyes watched the arrival and birth of new colonists. If King Philip’s War did anything to the English, it made them question the simple dichotomy of “civilized” and “barbarous” which had structured their perspective from the earliest days of colonization. After all, remember that the first historical reference to scalping appears in Herodotus. The practice was not solely an Indian invention. When I came to the place, i found an house burnt downe, and six persons killed, and three of the same family could not be found. An old Man and Woman were halfe in, and halfe out of the house neer halfe burnt. Their owne Son was shot through the body, and also his head dashed in pieces. This young mans Wife was dead, her head skinned…. [she] was bigg with Child….. [and her other two children] haveing their heads dashed in pieces…laid by one another with their bellys to the ground, and an Oake planke laid upon their backs (sic). These atrocities are certainly not to be doubted, but as it was the literal (and literate) victors of the war who crafted its histories, one can forget the reciprocity of hatred that marked both sets of combatants. Irving later complained that Puritan accounts of the war dwelled “with horror and indignation on every hostile act of the Indians, however justifiable,” while there are “mentions with applause [of] the most sanguinary atrocities of the whites.” No account of the war written by a native survives, if indeed there ever were any. Yet the English themselves sometimes recorded their own atrocities, or betrayed evidence of their own barbarity that is sometimes subtly (and not so subtly) caste like a dark shadow from their celebrations of their eventual military victories. This is demonstrated by Benjamin Tompson’s remarkable epic poem, first published as New-England’s Crisis in Boston in 1676, with the fires scarcely quenched and the metallic tinge of blood still in his nostrils. In London it was printed a year later as New-England’s Tears. The later title would be particularly evocative to an audience in the home-country, as it seems to mimic the English title of the Dominican friar Bartolomeo de las Casas’ sixteenth-century classic The Tears of the Indians. This text, which recounted Spanish brutality in the conquering of the Aztecs, was foundational in the English construction of “La Leynda Negra,” or “The Black Legend,” which purposefully contrasted peaceful English relations with the natives to the savagery of Catholic colonizers. One can envision Tompson’s dispatch from the colonies taking up space at book stalls on Fleet and Grub Street, or being hawked in the courtyard of St. Paul’s alongside de las Casas’ century old book (recently translated into English by none-other than John Milton’s nephew). But where the “tears” in that older text were of the Indians, Tompson writes of “New-England’s tears.” Paradoxically while the race and religion of the oppressed had altered, their identity as “Americans” remained constant. It’s hard not to think that the poet doth protest too much. I do not mean to claim that the colonists engaged in literal cannibalism (though archeological evidence has demonstrated it did occur during some lean times), but the dodge of “Had we been” strikes the reader as supremely disquieting. The couplet has a sense of demonic power about it, for while it emphasizes that cannibalism was not engaged, that there was at least still the possibility that it could be entertained. Tompson, in his almost gleeful recounting (think of how disturbing the word “fry” is in that earlier line) seems delighted by the fact that the English had the possibility, or the choice, to violate this taboo. Transgression need not be performed, the possibility of it is enough. To paraphrase Matthew, he who considers cannibalism has already committed it in his heart. This interpretation is not a stretch, for Tompson conjures the image of a “feast,” and most disgustingly of all compares the scorched bodies of fellow human beings to the smoked pinkness of expensive Westphalian ham, of “gammons ready drest.” From Montaigne’s ironic Of Cannibals, to Shakespeare’s anagrammatic Caliban, natives had often been impugned with this particularly heinous sin. While cannibalism’s ritualistic import has been noted among all peoples of the Earth (including Europeans, of course), it was a particular blood libel that early moderns associated with the Indians, and yet Tompson proudly takes on the potential mantle of cannibal in an orgiastic, Dionysian celebration of the ultimate victory of the white settlers in New England. A Phoenix did arise, out of the burnt ashes of human remains, from a barbecue’s fire pit. Mather preaches that the for the “Heathen People amongst whom we live, and whose Land the Lord God of our Fathers hath given to us for a rightful Possession” that a “Sword, a Sword is sharpened… to make a sore slaughter.” In Mather’s sermon we see the nascent origins of what Slotkin has coined “regeneration through violence;” that is the mechanism by which one of the central American myths operates, a ritual of sacred violence whereby the millennial nation makes itself worthy of the Kingdom of God through the almost Eucharistic spilling of blood. This is important to remember in our own era, when we almost daily read of meaningless massacres, and watch the painful ritualized mourning that is inaugurated upon the contemporary slaughter of innocent Americans. Slotkin writes that “the myth of regeneration through violence became the structuring metaphor of the American experience,” and it is imperative to remember this when we ask why the murder rate in the United States is so disproportionately high. Lepore writes that it could be argued that the war never really ended since “in a figurative sense, it was the archetype” of wars which followed; but in its anarchic randomness New England’s most brutal war reminds one not so much of the battles planed by generals in the Pentagon than it does to the sword of Damocles which hangs over ever citizen’s head – where we are all held hostage by the enthusiasms and idolatries of those for whom the firearm is a sacred tool. Indeed in the very rhetoric of those for whom the Second Amendment is an inerrant textual idol, we see traces of Slotkin’s claim that “The archetypal enemy of the American hero is the red Indian, and to some degree all groups or nations which threaten us are seen in terms derived from our earlier myths.” In both our paranoid fear of the Other, which in our history has included the Indian, the slave in potential revolt, the bomb-throwing anarchist, the Papist of nativist fantasy, and now the Islamic jihadist, we’ve been playing out the sacred ritual of reenacting King Philip’s War over, and over. The terrible irony of course is that none of these groups has ever exerted a fraction of the damage on us that our own fear coupled with our own destructive capabilities has. If we are to name these demons, again so that we may exorcise them, there is perhaps no more pressing time to do so than the current. History may not repeat itself, as it is said, but it certainly echoes. These dark elements of the American civil religion – the sacred violence, the purification of blood through blood, the stark definition of who exactly is the Other – all of this reoccurs like an idée fixe in a symphony written in the minor key. We see it in the rhetoric of the Know Nothing, the Klansman, the John Bircher, and we of course see it today. What seemed politically impossible six months ago is now commonplace; the leading candidate for the presidential nomination of one of our political parties talks glowingly about the possibility of the largest ethnic cleansing in human history. He talks about databases categorizing people by ethnicity and religion. He talks about targeting for assassination the innocent family members of suspected terrorists, and he is as indiscriminate and gore-happy as the marauders who killed women and children in Indian villages, once, long ago. His rallies are characterized by bullying, by demagoguery, and increasingly by actual violence as dissenting voices are shoved, kicked, and threatened. As what seemed impossible a half a year ago came to pass, one fears that that which seems impossible now will be commonplace six months into the future. Much of the rhetoric that bolsters not just this candidate, but this movement which he represents, focuses on those venerable American archetypes of the pioneer, a rugged individualist defending the land on an ever western frontier which burns across the continent to fulfill our eschatological destiny. Lepore is indeed right that King Philip’s War has never ended. That great explicator of sacred violence, the philosopher Rene Girard, writes of the scapegoat mechanism, where the innocent may die, but it is paradoxically their very sacrifice which is meant to prevent the death of other innocents. As Gary Wills put it in a column written after one of the countless, endless, perennial massacres which mark daily life in the modern United States (as surely as if we lived in colonial New England), “It was the sacrifice we as a culture made, and continually make, to our demonic god. We guarantee that crazed man after crazed man will have a flood of killing power readily supplied him. We have to make that offering, out of devotion to our Moloch, our god. The gun is our Moloch.” King Phillips War has more than a whiff of the allegorical about it, it is a typological example of a recurring event in American history, a chapter in the dubious sacred scripture of our civil religion, and we witness its continuing battles every day. Logic and reason alone will not bring armistice, as it is the language of myth that binds us, it must be the language of myth which ultimately liberates – but I know not what that language sounds like. What I do know, and what I fear, is that in our mythic America, which is perennially sustained by legends of being made “great again,” that what for many seems to look like a golden dawn is really the dusk. In my dissertation, The American Strand: Directional Poetics and Apocalypse in the Early Modern Atlantic, and in “Cotton Mather, Heterodox Puritanism, and the Construction of America” in the Crawford Gribben and Scott Spurlock edited anthology Puritans and Catholics in the Trans-Atlantic World, 1600-1800. Ed Simon is a PhD Candidate in the English department of Lehigh University. His research focuses on religion and literature in the seventeenth and eighteenth-century Atlantic world. He has been previously published in Salon, Religion Dispatches, The Revealer, the Journal of the Northern Renaissance, and the Public Domain Review among others. Currently he is the assistant editor of the Journal of Heresy Studies, and one of the founding members of the International Society for the Study of Heresy.